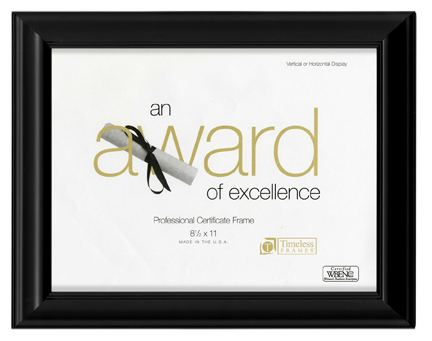 With its silky black color and stately sophistication, Addison is the perfect frame for showcasing your diploma or award and all the achievement it represents. The strong lines and classic look of this frame make a bold and attractive addition to any décor. This frame is made of Solid Wood.